Bioinformatics tools are essential for extracting valuable biological knowledge from bacterial genomes. Currently, there are many computational applications, algorithms, and programs to decipher the genomes in terms of structure, function, and evolution. Specialized databases to upload and retrieve genomic information have grown as well in the last past years. 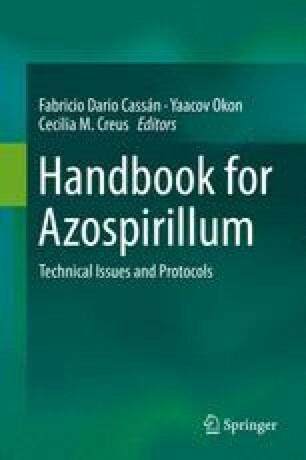 In this chapter, we highlight the basic bioinformatics procedures, databases, and web resources commonly used in bacterial genomics covering Azospirillum and related bacteria. The work on bacterial genomics is supported by grants to VG from CONACYT CB 131499 and PAPPIT-UNAM IN2084143. We wish to thank to Olga M. Carrascal and Irma Martínez for valuable comments to the manuscript and José Espíritu for computational help.